It was close to midnight, the sherry was flowing and the raw guitar and ecstatic vocals of a flamenco group filled the hot, crowded bar. A happy gang was joining in the chorus of a classic tune and the evening was coming to heady climax. This was when I realised how much I love the rough and ready culture of Spain. It’s a country that constantly surprises, whether an unexpected festival – of religion, food or art – or a small, intimate and passionate rendering of flamenco. 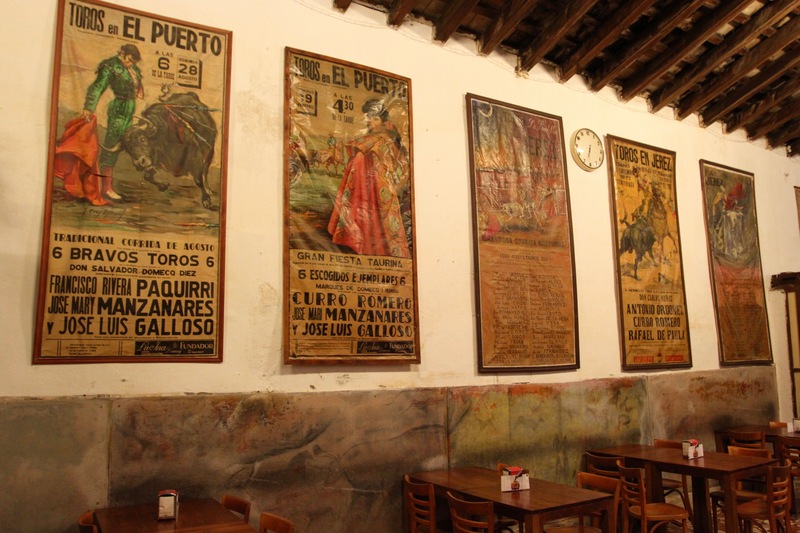 We were in the Tabanco El Pasaje, a classic Jerez flamenco place, where the owner had secured us a ‘ring-side’ seat after a chance encounter over a sherry earlier in the day. It was the culmination of a fantastic final day in this wonderful Andalusian town. We’d visited the lovely Alcázar, discovered a local food festival, unearthed a microbrewery in this sherry town, and explored the atmospheric streets. This won’t be the last time we visit Jerez. 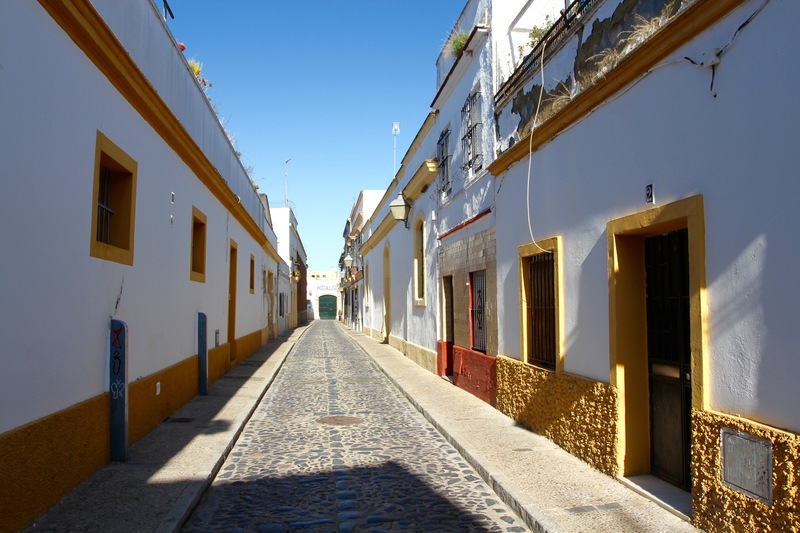 Like so many places in Andalusia, the historic centre of Jerez de la Frontera is filled with a maze of narrow cobbled streets and attractive plazas. 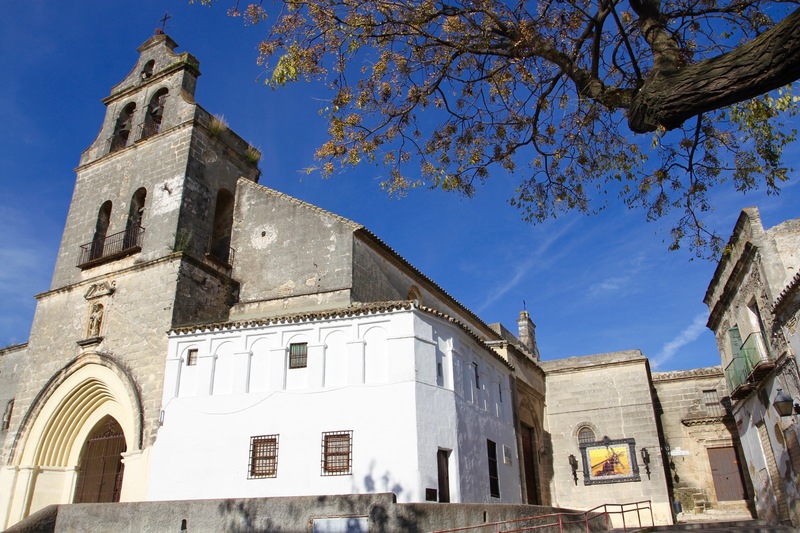 It’s a town where history oozes from the walls of ancient churches, old palaces and the imposing Alcázar. If it wasn’t clear from architecture that incorporates Arabic mudéjar elements, seeing the magnificent Alcázar would be enough to tell you that this was once part of Moorish Spain. We had a busy day of sightseeing and (more) sherry tasting ahead, and arrived early to the Alcázar. 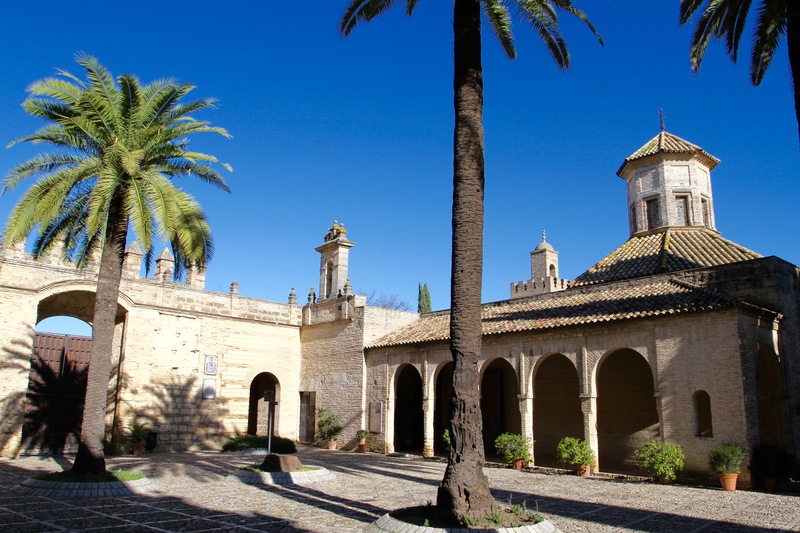 Unlike Granada or Seville, there aren’t many tour groups queuing up to get into Jerez’s historic sites, which meant we had the lovely Alcázar grounds to ourselves. The building is not as rich artistically as other ancient Moorish buildings we’d visited, but the Arabic baths, 900-year old mosque and the enormous olive oil press were still pretty impressive. The Alcázar was part fortress, part palace, but definitely feels more like a fortress. 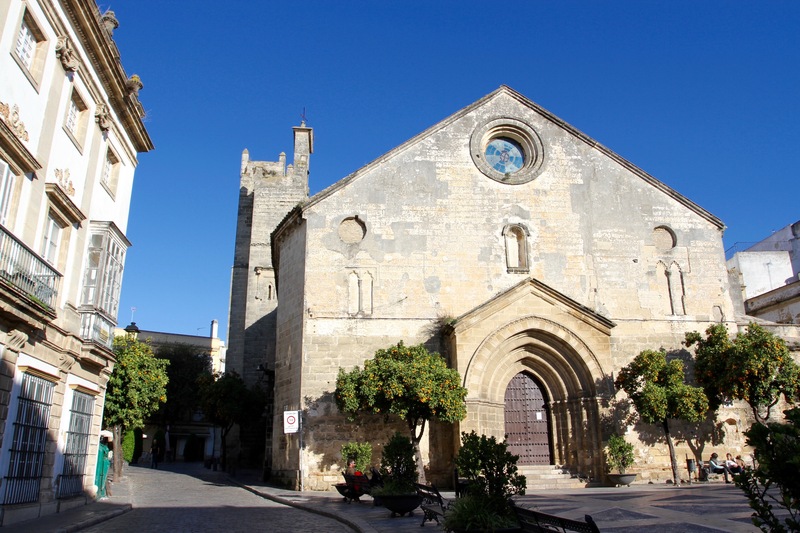 Built in the 11th century, and expanded over the next couple of hundred years, it was a key part of Islamic defences against the Castilians. Unfortunately, the fall of Seville in 1248 left the door open for the Reconquista, led by Alfonso X of Castile, to capture Jerez. The city capitulated in 1264 after a long siege. Unusually, the Moorish population was allowed to remain largely unmolested. 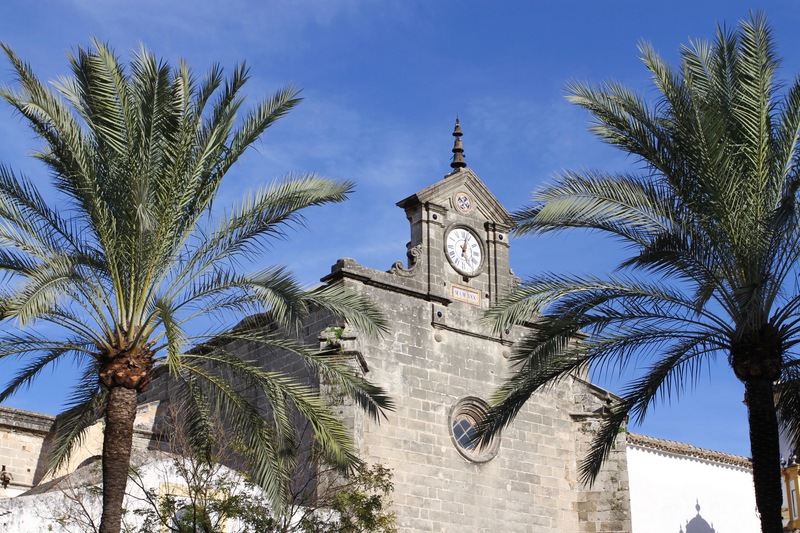 The importance of Jerez to the Moors saw it grow into a sizeable town. Before the Moors, it was a relatively minor Roman outpost. 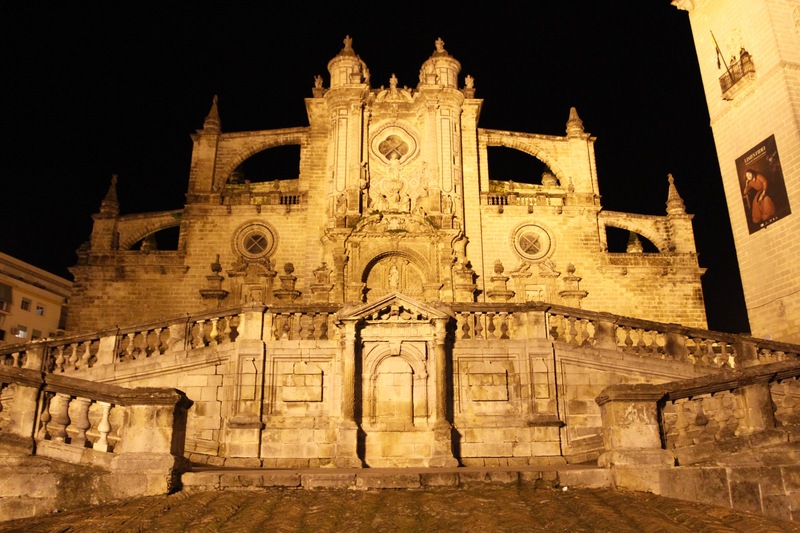 Once Spain was unified following the Reconquista, Jerez boomed. 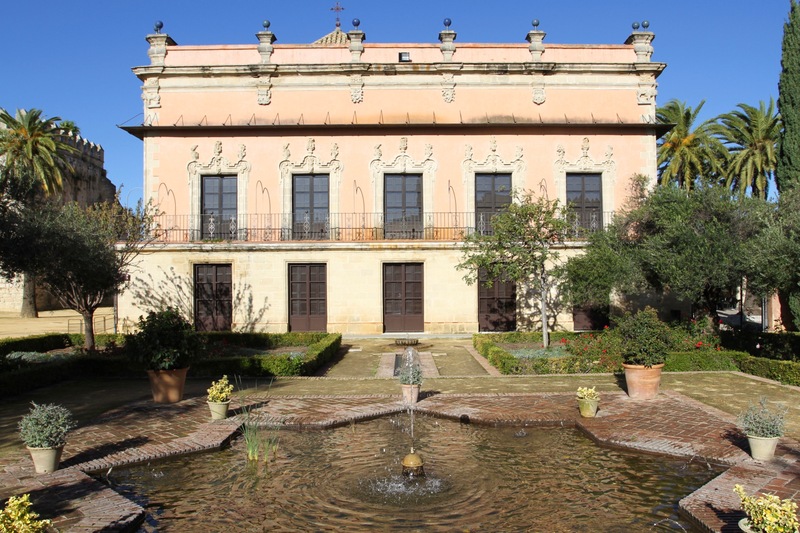 Trade with Cadiz and Seville made it very wealthy and has bequeathed its own architectural legacy. All of these periods of history have left their mark on the modern city, and adds to the fascination of exploring its streets. 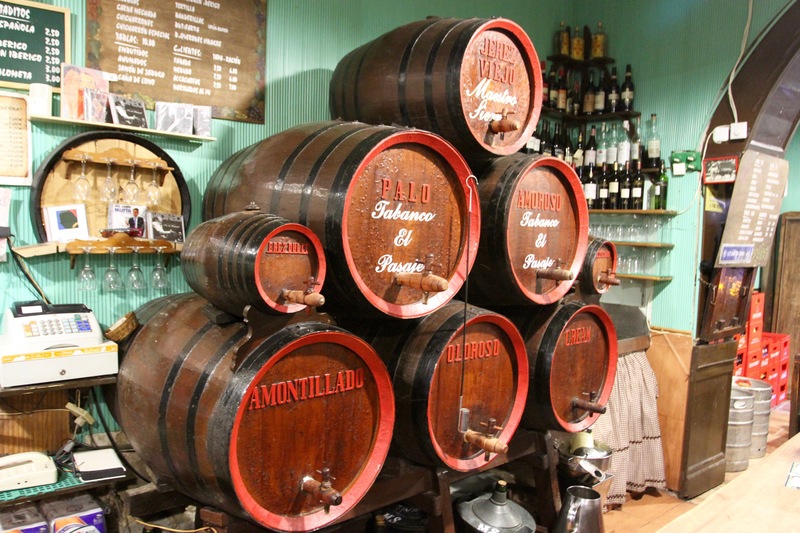 Once you’ve been to the Alcázar, spent some time in the cathedral and visited a sherry bodega, you’ll have ticked off most of the things on the typical tourist itinerary. 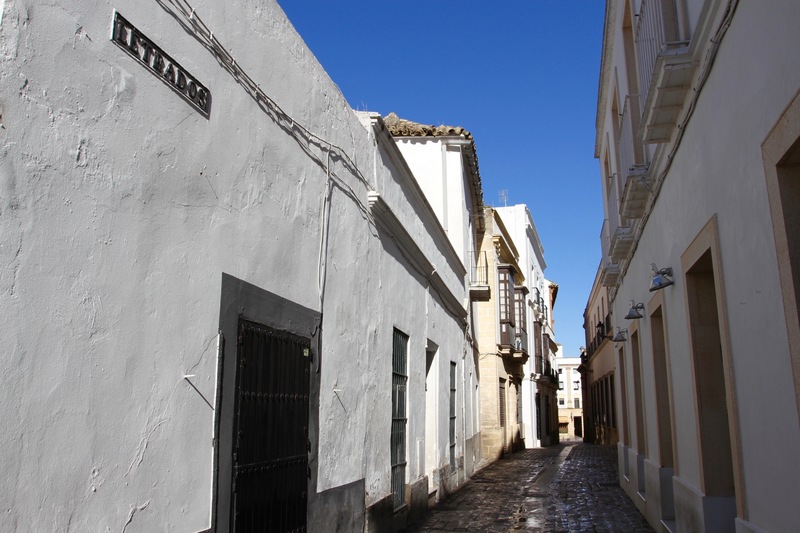 That leaves time to wander the barrios of Jerez at leisure, and get a feel for the sedate pace of life. We had lunch in a little cafe and after an early afternoon siesta spent the rest of the day just walking. 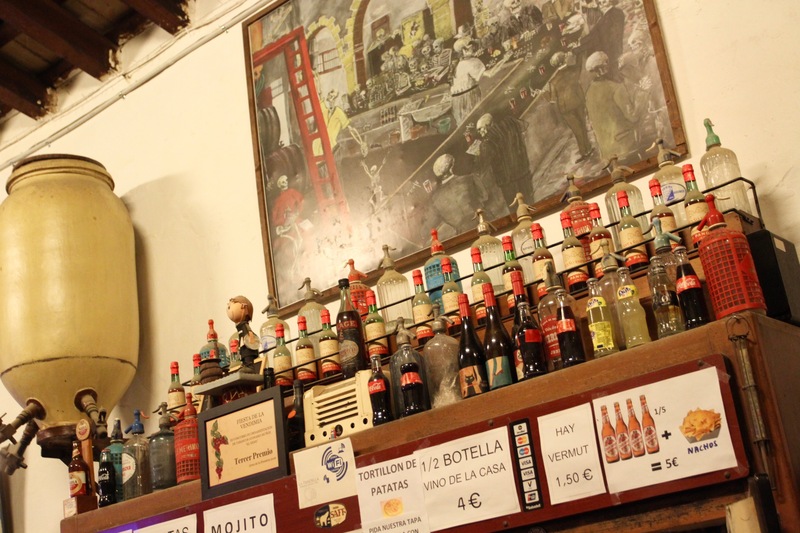 We did manage to visit a couple of tabancos to sample a few different types of sherry, and it was during one of these ‘rest stops’ that we learned about the flamenco evening that would end our stay here. Who says living the dissolute lifestyle doesn’t have any benefits? If the word “sherry” brings to mind a syrupy drink only consumed by your granny at Xmas, then the dark nutty deliciousness of oloroso and amontillado; the refreshing dryness of fino and manzanilla; and the deep treacly sweetness of the exquisite Pedro Xinenez, will come as a welcome surprise. 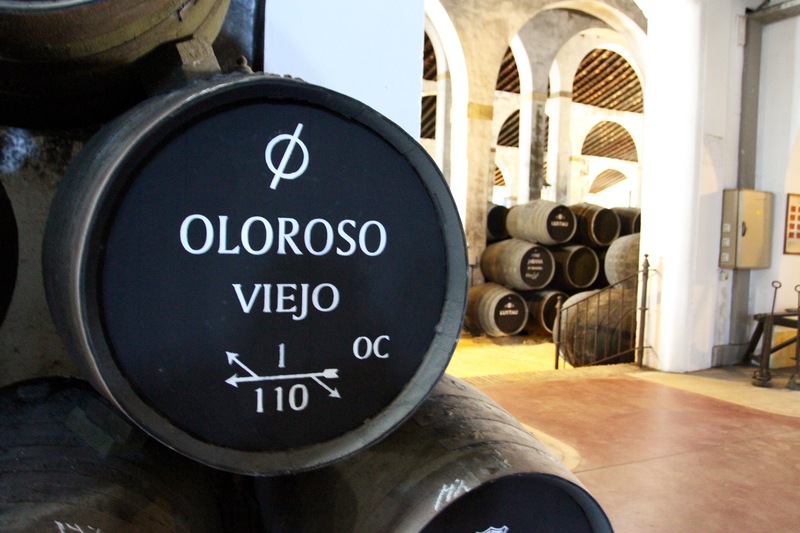 In this part of Spain sherry is approached in the same manner a Highland distillery would approach a single malt – reverentially. 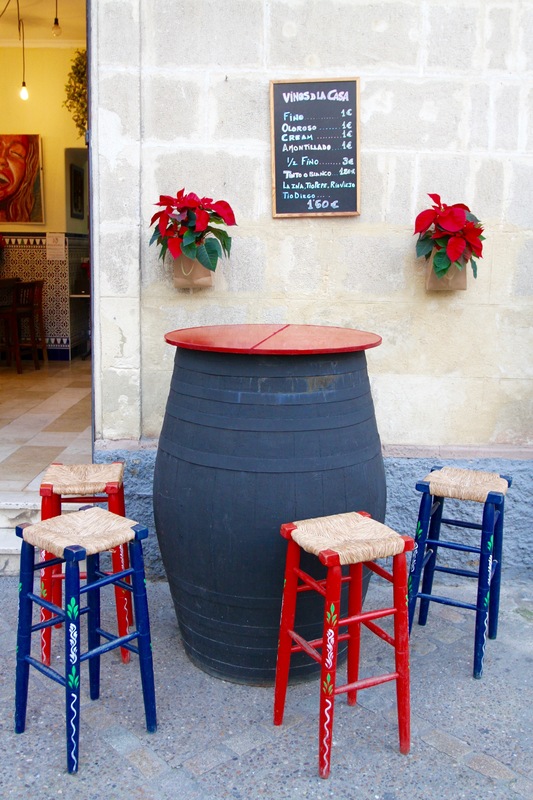 Jerez de la Frontera sits at one corner of Spain’s ‘sherry triangle’ – which is an actual thing. 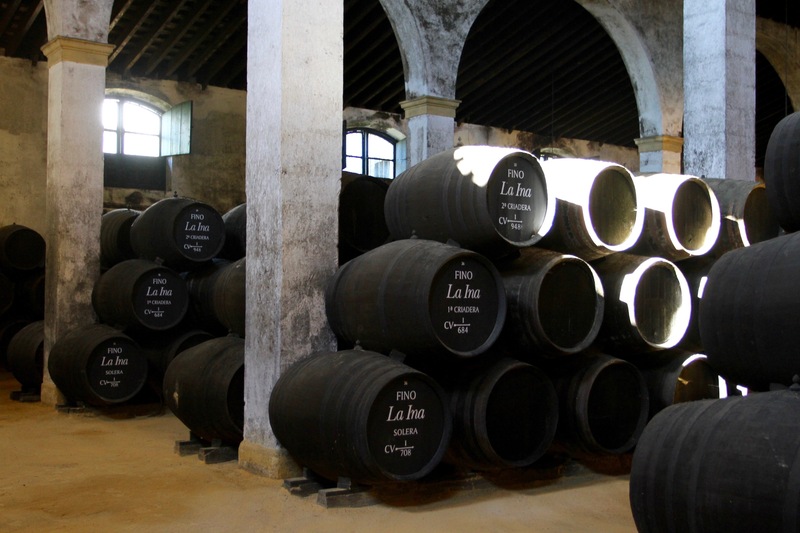 In the area between here and the triangle’s other points, Sanlucar de Barrameda and El Puerto de Santa Maria, is an area that single-handedly produces the finest sherries known to humanity. It’s the perfect place to explore a wine that has long suffered an image problem, but is deservedly having a revival and finally getting the global attention it deserves. 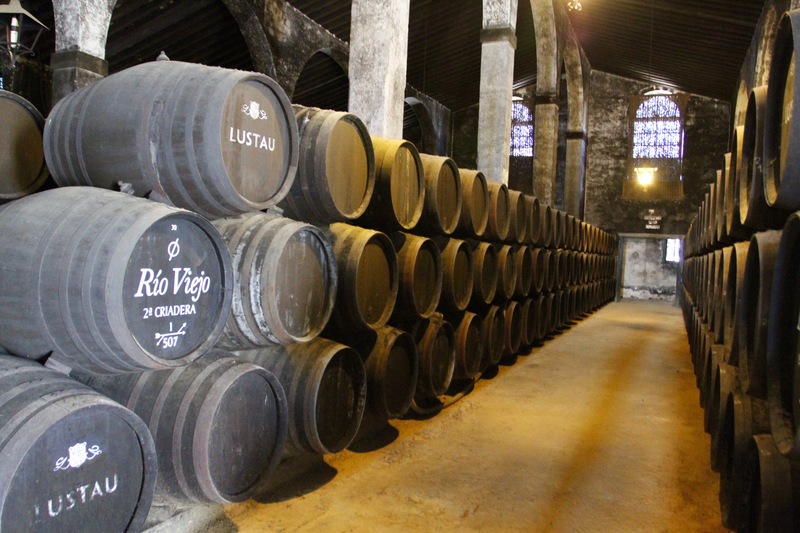 Unlike the champagne cellars of Reims and Epernay, sherry cellars are above ground, and Jerez alone hoards over half a million barrels of the stuff at any given time. 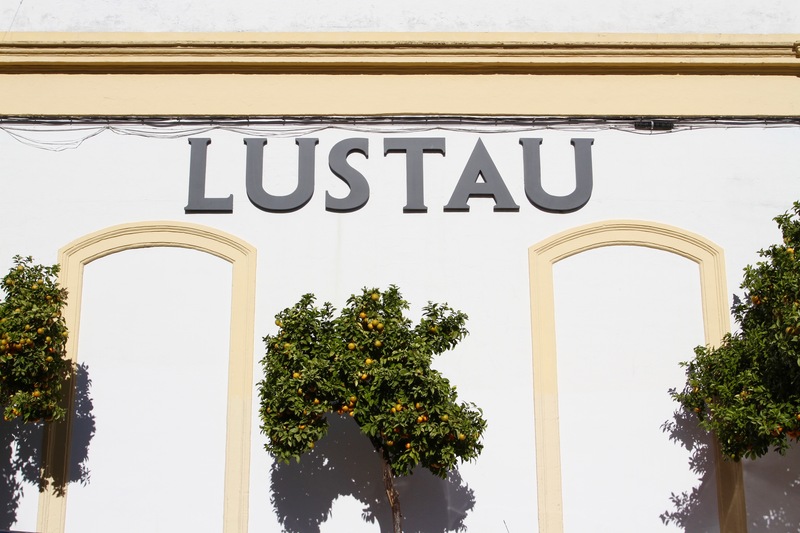 We decided to visit the Lustau bodega, which produces some of the world’s finest sherries, including their signature fino, La Ina, and the fantastic oloroso, Don Nuño. The latter definitely topped my list. We booked a tour and turned up only to discover there was a health inspection. It delayed the start by thirty minutes, and was probably why the tour guide seemed in a rush to show us around these famous cellars. 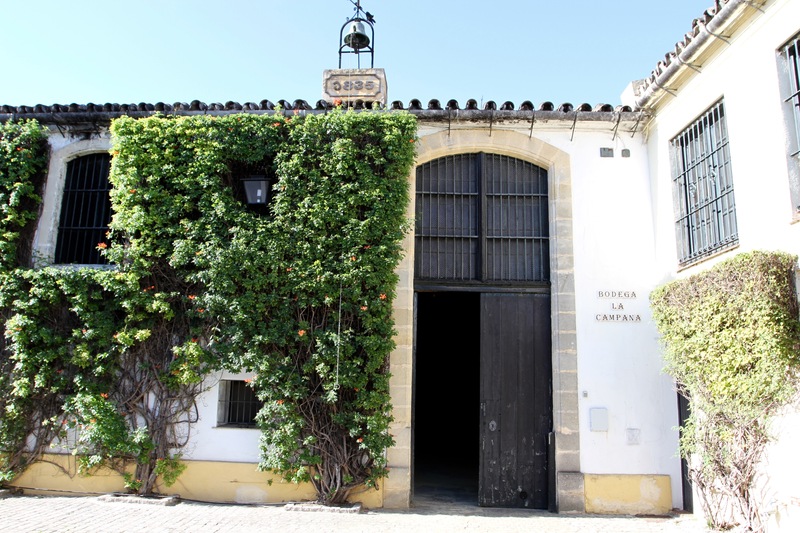 The vaulted cellars aren’t particularly interesting, although it’s fun wandering past the old wooden barrels filled with Jerez’s finest, but the history of the bodega and the wine making process is fascinating. 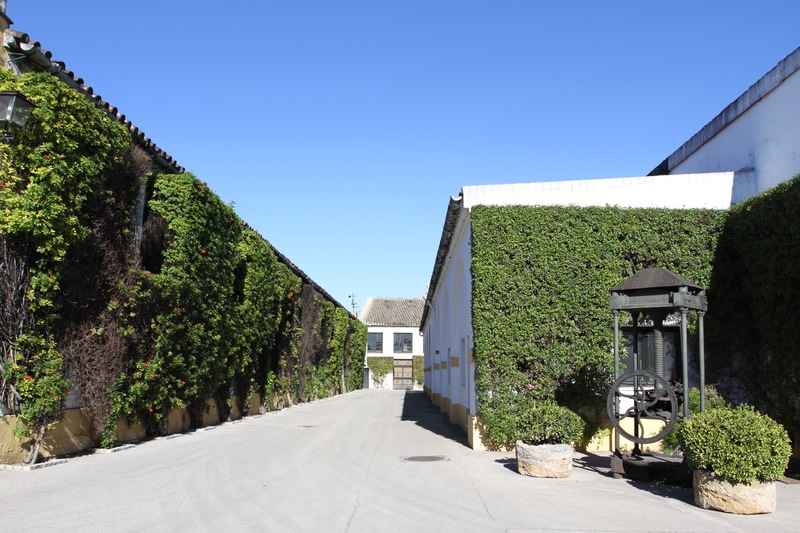 We learned about Jerez’s viticulture, particularly the palomino grapes grown in vineyards north of the town which receive around 3,000 hours of sunshine a year. The grapes end up in the bodegas, where they take on their unique styles. I always thought manzanilla was a little salty, and this is because it comes from Sanlucar de Barrameda on the coast. 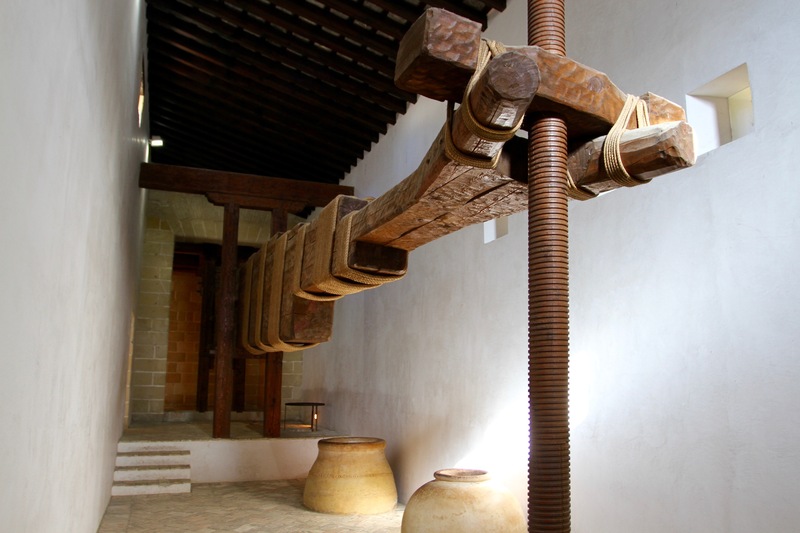 The salty sea breeze affects the wooden barrels and the wine within. We verified this with a taste test later on. 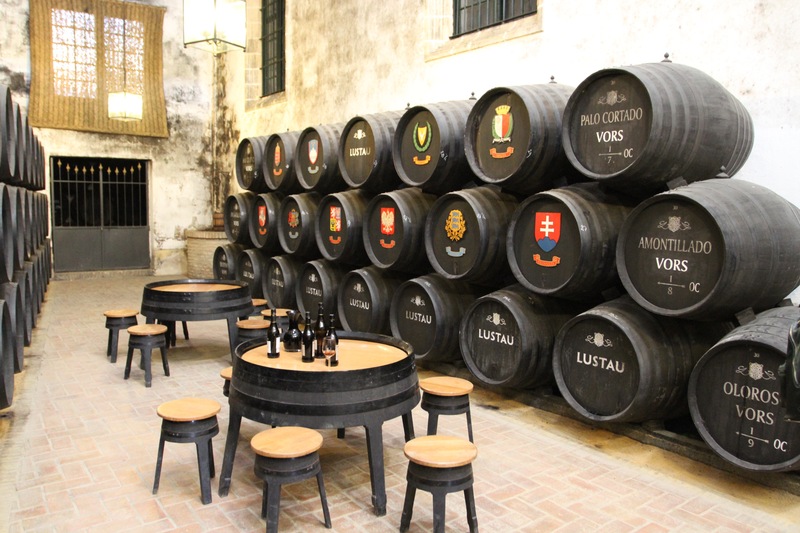 Sherry, or at least the English word, was invented in England around 1600, a corruption of Jerez’s Moorish name, Xeres. The connection with England goes well beyond just a name though. 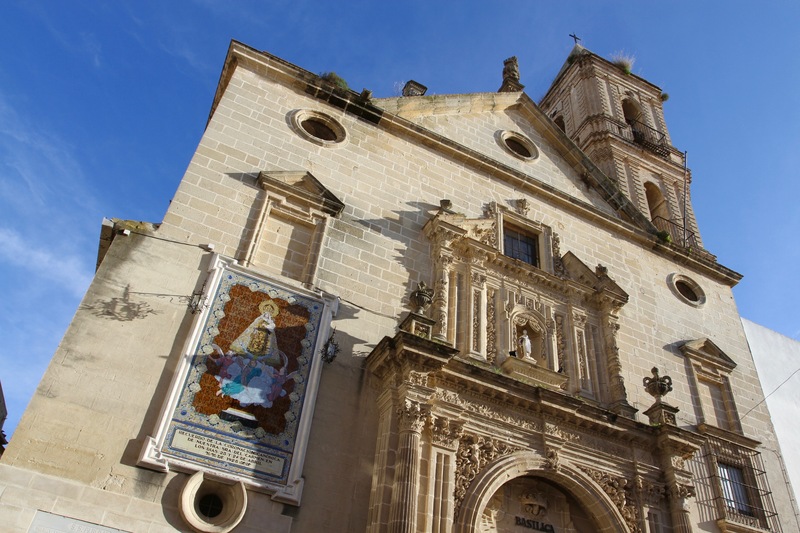 There are centuries of historic sherry ties between the two countries, thanks to the thousands of English Catholics who fled here as religious refugees after Henry VIII introduced the Act of Supremacy in 1534. Catholics were persecuted by the government for their beliefs, and barred from many areas of employment. 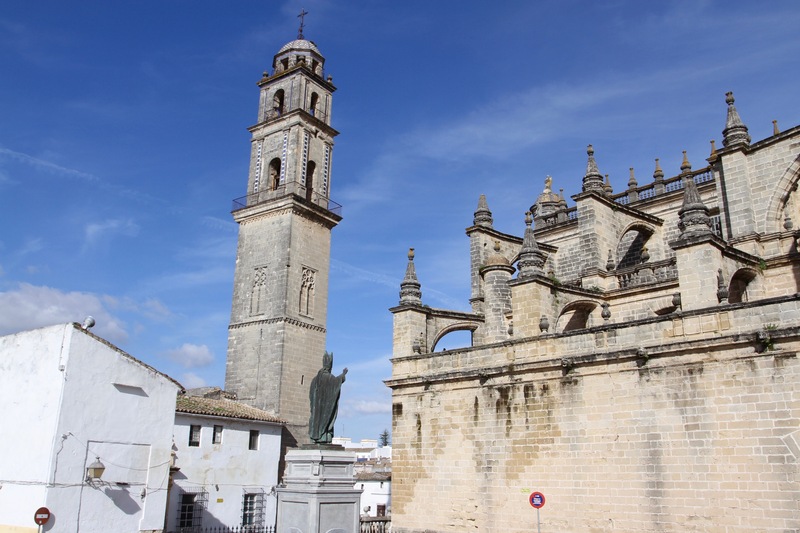 Many chose to flee to Catholic Spain, and many ended up in this part of Andalusia. Their descendants are still regarded as being something of an “Anglo-Spanish aristocracy” in this part of the world. 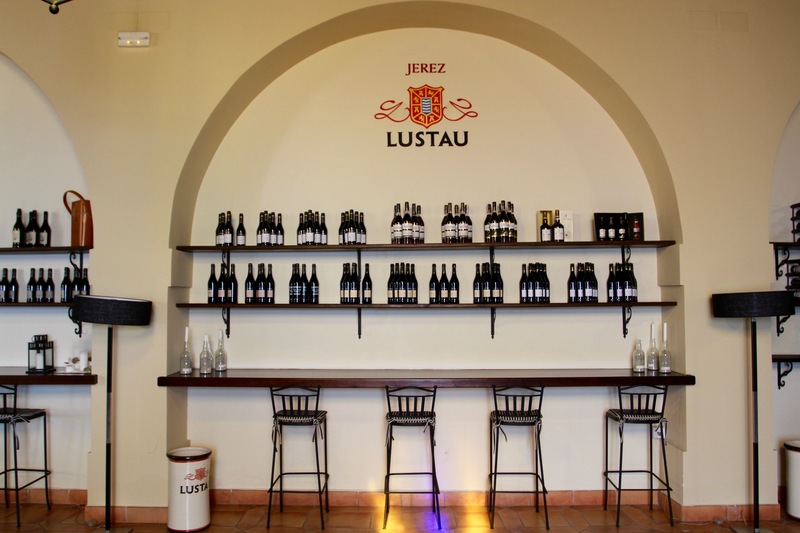 The Lustau bodega was loaded with historic and aristocratic atmosphere. 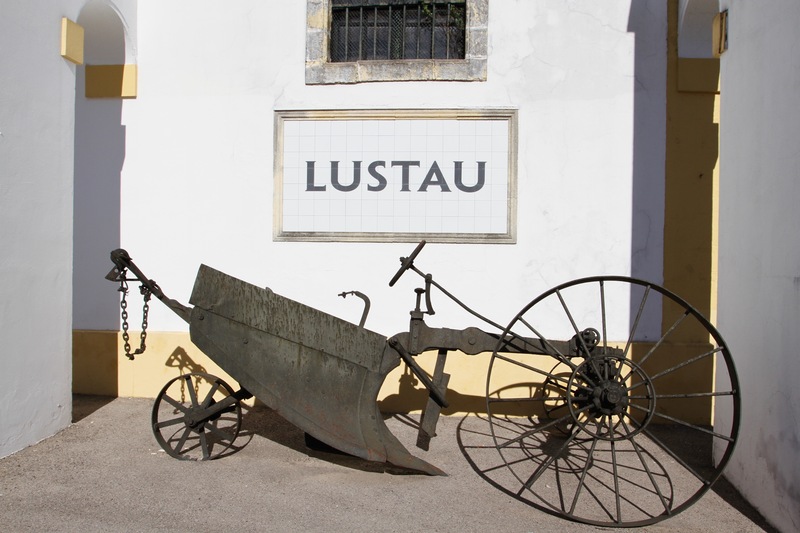 Founded in 1896, Lustau is the only sherry house to produce wines in all three of the cities of the triangle. 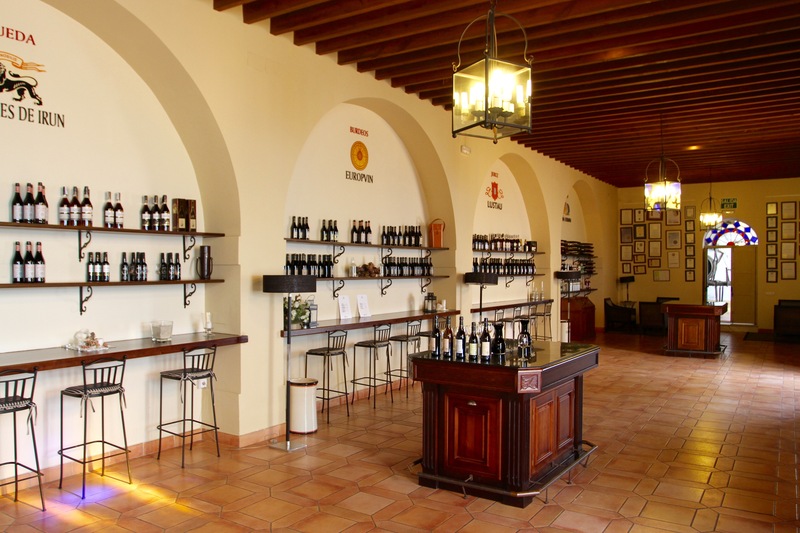 It’s a company that has become known for its outstanding wines and, after a short tour of the buildings and cellars, we emerged into the tasting room. 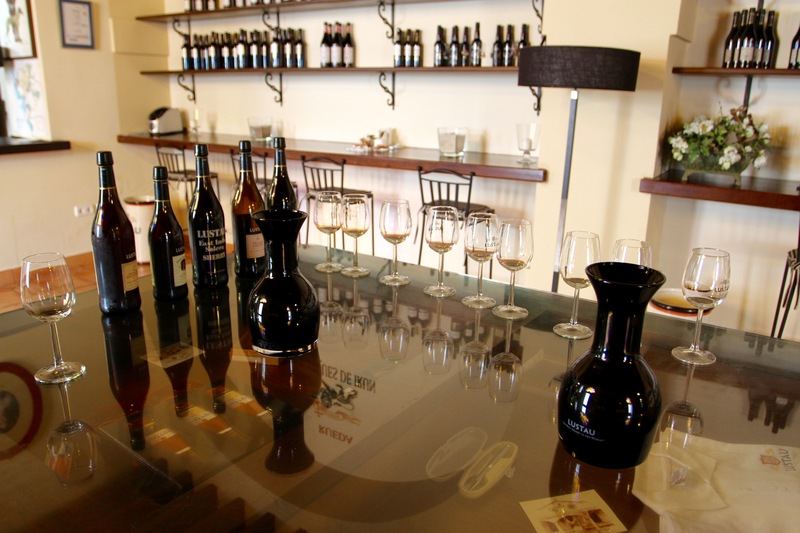 We’d booked the €25 Full Tasting Tour, this presented us with the mammoth task of sampling 12 different sherries. It’s a hard job, but someone has to do it. 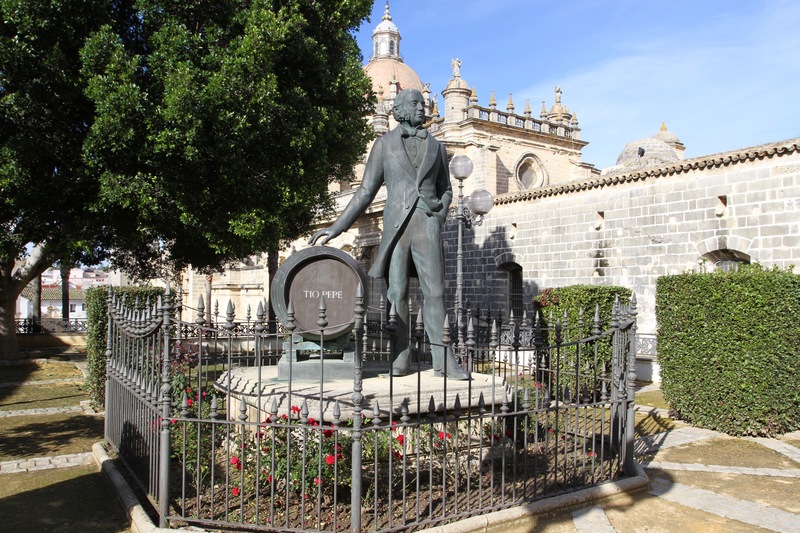 We emerged into the blinding Jerez sunshine some time later, wiser about what makes a good sherry and in desperate need of a siesta. Jerez de la Frontera was a revelation. 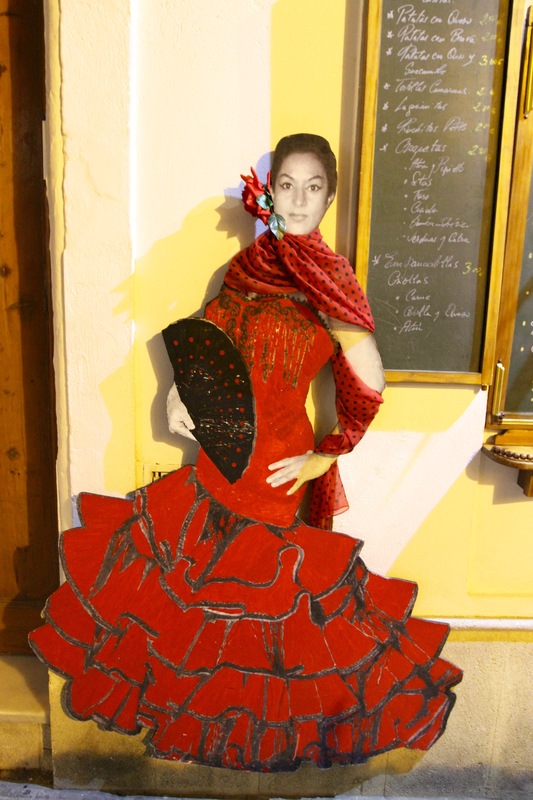 It’s known as the world capital of sherry, is home to passionate flamenco, and wears its long and proud history firmly on its sleeve. Small enough to walk almost everywhere, large enough to feel cosmopolitan, it’s filled to the brim with fabulous tapas bars and takes its nightlife very seriously. It has so much going for it that I couldn’t help but wonder where the tourists were. 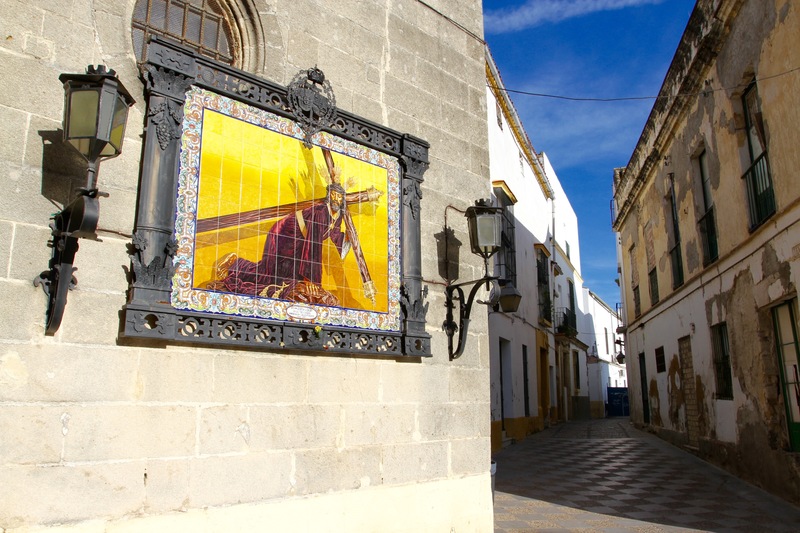 Jerez seems to have all the qualities of far more famous and popular Andalusian towns in abundance, yet it remains below the radar of many tourist itineraries. That must change in coming years, but for the moment it feels like you’re stumbling upon an authentic, almost-undiscovered part of Andalusia. We were there in the off-season, but even then I’d expect a town this lovely to have its fair share of tourism. We stayed in the La Fonda Barraco, a classic Andalusian house built around a central courtyard in the old town close to the cathedral. Its owner, the fantastically helpful and well informed Alejandro, greeted us with a choice of sherries by way of welcome to Jerez. It was the first of many tastings of the town’s iconic drink. 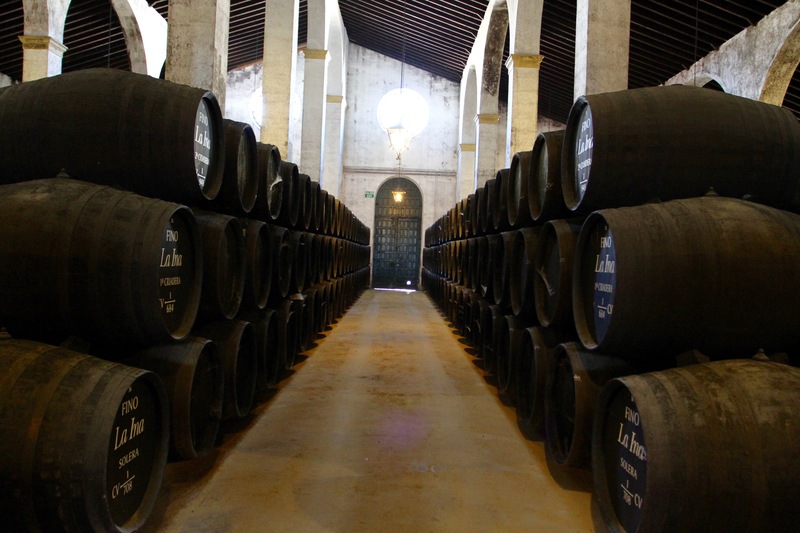 A love of sherry isn’t required to enjoy a visit to Jerez, but it certainly helps – the town is fuelled by the stuff. 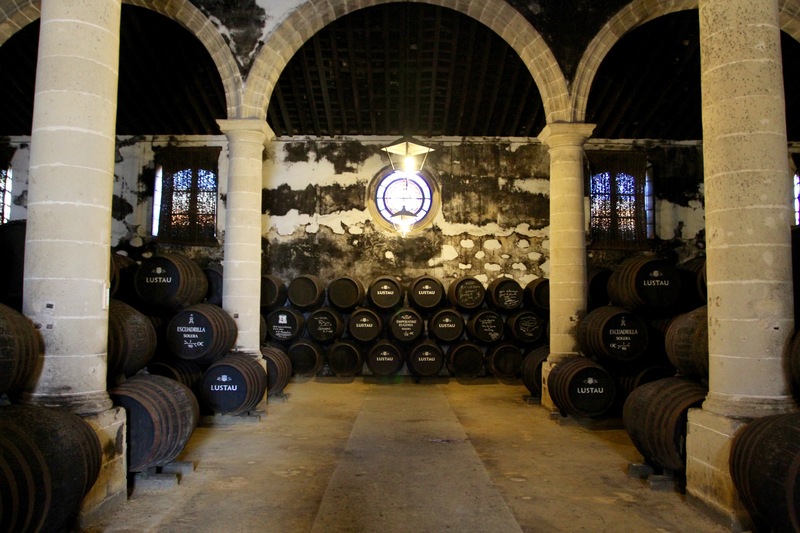 We just had time to finish off a deliciously nutty Amontillado and put our bags in the room, before going out to catch a religious parade that Alejandro mentioned was taking place. We headed to the magnificent cathedral and waited with a few other bystanders for things to get going. Sure enough, a parade of local dignitaries and a statue of the Virgen soon emerged and made their way slowly down the street. This sort of thing happens surprisingly often in Spain, and it was the harbinger of good news: it was a festival weekend. The town was buzzing with energy and activity, which mostly seemed to be focused on promenading, eating and drinking. It was a lot of fun. We watched the parade and then visited the Catedral de San Salvador, which was gearing up for a service and was atmospherically filled with incense smoke and organ music. Afterwards, we walked behind the cathedral toward the magnificent Moorish Alcázar, passing one of the world’s most famous sherry houses, Gonzalez Byass, on the way. We found our way into Plaza del Arenal, the attractive main square. From here streets branch off in all directions, and it’s possible to wander around exploring the historic barrios of the town centre. 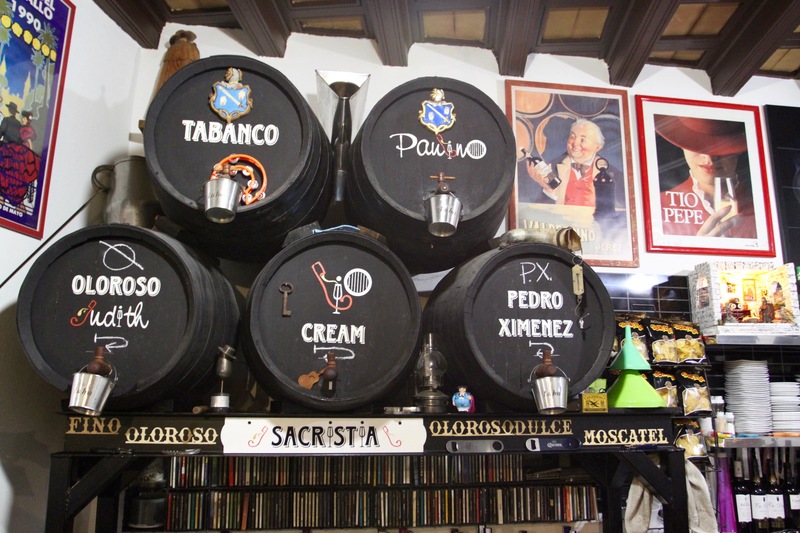 We planned to visit a sherry bodega the following day, so did a little prepping in Jerez’s tabancos, old and traditional sherry bars. 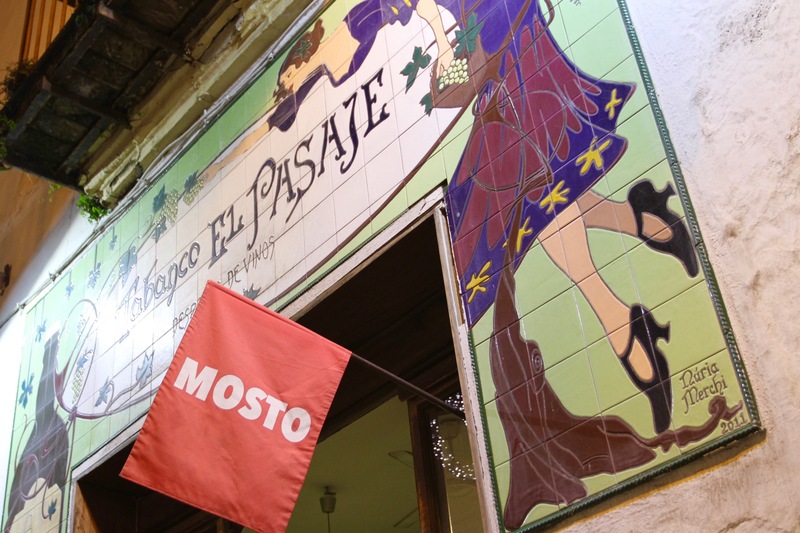 Many had signs outside saying “hay mosto”. 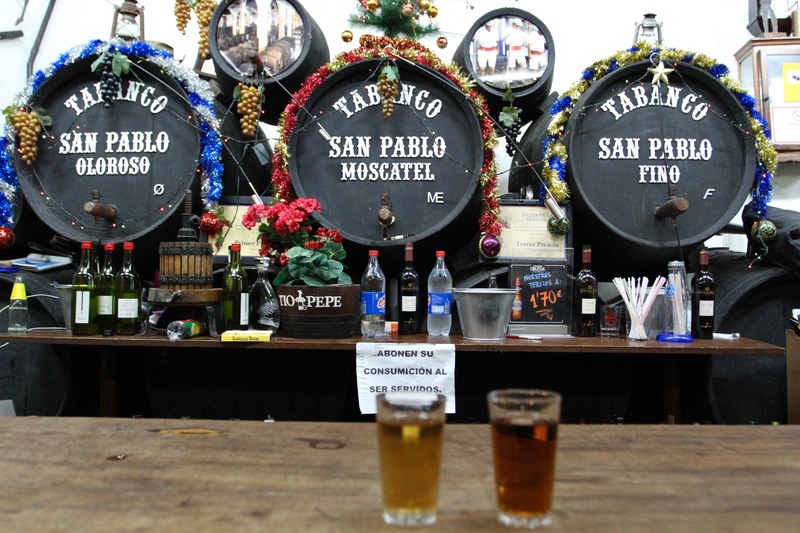 Mosto is fermented grape juice, more like wine than sherry, but not really like wine. It doesn’t have as much alcohol as sherry and is light and refreshing. It’s something of a local delicacy and is delicious with chickpea and chorizo stew. 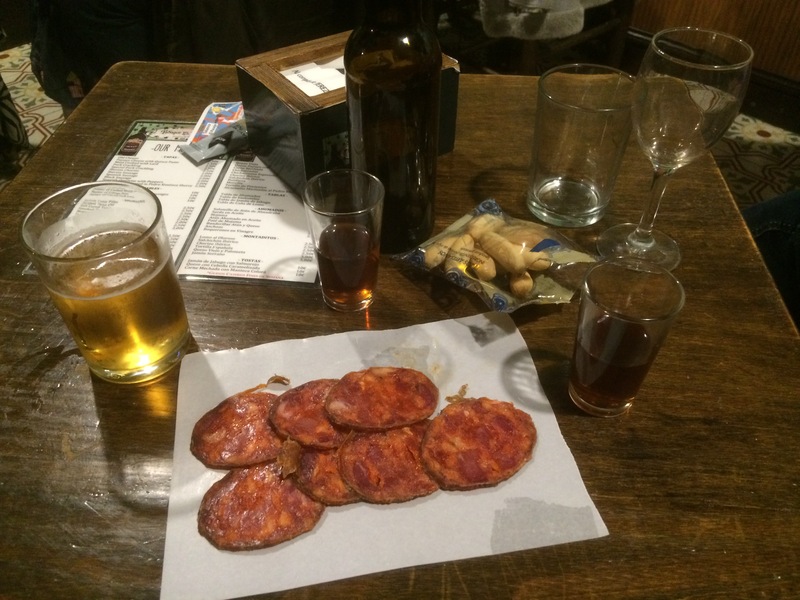 Tabancos all offer a wide range of different sherries and basic tapas dishes, we sampled a couple as we meandered around the town. Like the Tabanco La Pandilla, which took us ages to find, they are simple places full of Old World charm. If you want something more upmarket, there are numerous good tapas bars and restaurants lining the streets and plazas between Plaza del Arenal and Plaza de Rafael Rivero. After spending a few hours strolling around town, the festival weekend seemed to be getting into full swing. In the town centre we found a nice restaurant, took a seat outside and ate a delicious dinner while watching the world go by. 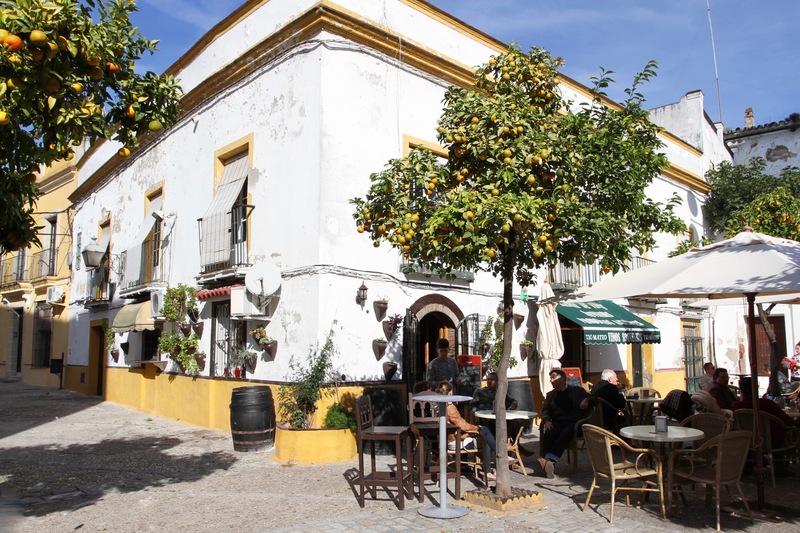 Jerez is a relaxed and welcoming place, we couldn’t wait to explore more of it the next day, but that would have to wait … you’ve not been to Jerez if haven’t joined the late night crowds carousing in the streets.